The popularity of Majlis- E- Aza has increased tremendously in the past few decades. These majalis today occupy the most prominent place in mourning rituals and surpassed marsiya, sozkhwani and Nauhas in terms of popularity all over the world. The credit for the current format and popularity of majalis can be given to Maulana Syed Sibte Hasan Naqvi. It is strange that the present generations of devotees are not much aware about him. This can be attributed to lack of research activities on the life and works of Ulemas who tirelessly worked for the protection of Imami faith after the annexation of Awadh Kingdom in 1856.These Ulemas not only thwarted the ugly designs of British but also kept at bay anti Ahle-Bait forces through their oratory and writing skills. Of these Ulemas, Maulana Syed Sibte Hasan Naqvi figures as the most remarkable one in view of his immense contribution to the mission started by Imam Hussain on the plains of Karbala in 680 AD with his sublime sacrifice. Maulana was one of the direct descendants of Prophet Hazrat Muhammad through the lineage of the Imam Ali-al-Naqi. He belonged to Nasirabadi sub-branch of Naqvis of Darul Ijtihad Jais and Nasirabad. Ayatollah Syed Dildar Ali Naseerabadi, popularly knoiwn as Ghufran-Ma'ab, was his ancestor. 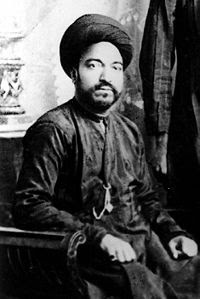 He trained several Ulemas such as Syed Sibte Hasan Naqvi, Farman Ali, Mohammad Haroon, Mohammad Dawood, Kifayat Hussain, Adil Akhtar, and Jafer Hussain. He did Mumtazul Afazil from Jamia Nazmia where Ayatullah 'Najm al-Ḥasan Namjmul Millat was his teacher. Sibte Hasan was also the teacher of Maulana Ibne Hasan Nonaharvi. However, he is better known for his efforts to develop the format of Majlis-e-aza. Prior to him, Majlis contained marsiyas and its great exponent in Lucknow were Mirza Anis and Mirza Dabeer. Maulana Sibte Hasan introduced a new format in Urdu language and it contained Khutba in Arabic, some tafsir, fazail of Ahle-bait and masaib of martyrs of Karbala. He introduced an academic structured approach in oration and soon the new format became so acceptable and popular that now Majlis-e-Aza is the most important constituent of Azadari all across the globe and its deliverers are considered to be more respectable. He also taught Maulana Ibne Hasan Naunaharvi. Maulana Hasan is renowned for his oratory and Urdu language speeches. He was a pious and sincere scholar with tremendous control over religious matters and reciting majalis. He read majalis at Husainia Irshadia, Rudauli by invitation of Syed Irshad Husain Zaidi for 58 years and also read at Hyderabad, Rampur, Jalali, Lucknow and many other places.